Here at A Room in Town we understand the importance of ambience and the impact it can have on your clients and their ability to relax, feel comfortable and speak in confidence during sessions. Most of us know that for the therapeutic setting it’s not ideal to have two creaky chairs and a dusty diploma in a soulless room with thin walls but there’s more to it than that; when flying you can to fly economy or first class and while you may end up at the same destination the quality of the journey is very different. It’s well known that the UK, and London especially, has a serious shortage of quality therapy rooms and that’s where we come in. We’ve had close links with therapists for decades and have created ideal rooms tailored to the needs of talking therapists. 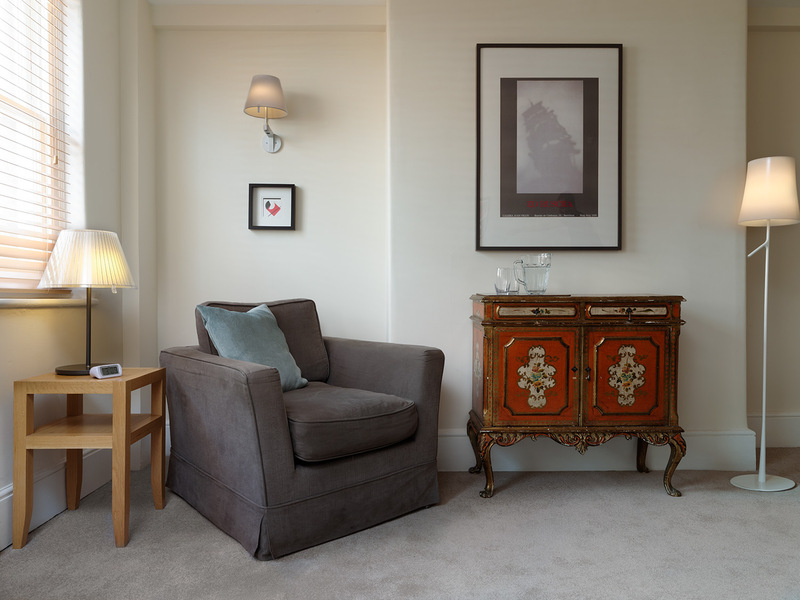 We’ve carefully planned our interiors to feature neutral colours with a splash of style, using accessible modern artwork, elegant furniture, comforting textures and subtle decorative pieces. Sofas and chairs are comfortable, all the lighting is dimmable and each room has seating for at least three people. Of course, all rooms also come equipped with a jug for water, tissues, clock and are cleaned daily. So here is our Top 10 Reasons Why… all rooms are NOT created equal. In addition many rooms also have a stylish cabinet for therapists to store their belongings, enabling the room to remain clear and free of clutter. We believe that our rooms provide the optimum environment for you, the therapist, to work at your best and consequently for your clients to have the best possible experience of their sessions with you. Why not take a look at some of our rooms or contact us to arrange a show round.